The finals for our 2017 Yen Liang Young Artist Competition were held in January at the Steinway Piano Gallery in Walnut Creek. Our finalists wowed the judges with their technical and artistic prowess on stringed instruments! Our winner this year is Thomas Lim. Thomas has performed at Carnegie Hall on two separate occasions, making his debut at age 14. 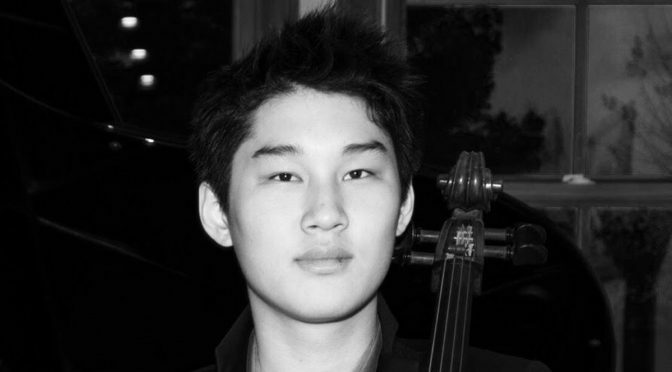 He is also an avid chamber musician, and studies at the California Music Preparatory Academy. We look forward to presenting him in concert performing the Shostakovitch Cello Concerto No. 1 at our Painting with Music concert on April 2nd, 2017. Congratulations also to Kaiyuan Wu (violin) and Jiho Choi (cello) who tied for Runner Up. We extend our appreciation and thanks to Justin Levitt for the use of the Steinway Piano Gallery, and to Sharon Greene for coordinating our competition this year.